This is a the final week of our Annual Appeal campaign. Thank you to all who have contributed quotes, donated money, and shared encouraging words. So far, with your support, we've raised nearly $11,000. That is fantastic. We have $4000 to go to meet our fundraising goal for this appeal. 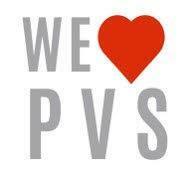 "...to put it in simple terms I love PVS because of our wonderful students, fantastic parent support and last but definitely not least our amazing teachers!! I’ve been with students for 4 years now and I consider them my family. It’s a joy to hang out with your family each and every day. Seeing them grow into kind, responsible, caring and lovable humans is a gift!" So far, with your support, we've raised nearly $11,000. That is fantastic. Our revised goal for the Annual Appeal fundraiser is $15,000. We have only $4,000 to go! If you haven't yet donated, please follow the link below. These donations help us close the gap between the funds received from PPS and what is needed to keep our school financially healthy. Our goal is $120 per student -- but we are so grateful for anything you are able to give! Alternatively, you can go to the school website homepage and click on donate now, or turn in the attached form to the front office with your pledge. As a public charter school PVS receives 77.6% of the state funding of PPS neighborhood schools. The amount of per student state funding changes multiple times during the school year, can be decreased, is based on enrollment, and can be reduced retroactively. As a public charter we are also required to maintain financial stability as one of the statutory requirements for Charter renewal in ORS 338.065(8)(a)(D). Maintaining this stability with an unstable funding model makes budgeting difficult so PVS relies on fundraising to fill in those gaps. Thank you for helping us close the funding gap.